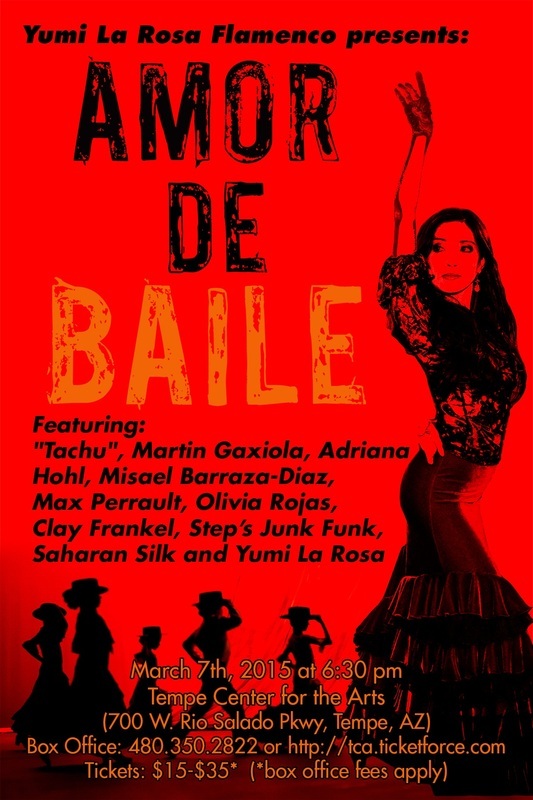 Yumi La Rosa Flamenco Dance Company presents all new, "Amor De Baile." This dramatic evening brings together some of the world's best talent under one roof for a flamenco extravaganza. Direct from Spain, Tachu with his fiery staccato footwork. Phoenix's premier male dancer and founder of Calo Flamenco, Martin Gaxiola. All dances are accompanied by the winner of Indiana International Guitar Competition, Misael Barraza Diaz! Don't miss this spectacular evening of flamenco and entertainment.